Tesla Motors' stock price (TSLA) continues to rise, where last week it was nearing $160 a share, this week it is nearing $170 a share, after rising from the neighborhood of $30 a share since March. A look at several technical indicators (moving average, MACD, RSI) shows strong interest in TSLA shares. The situation has some saying that Tesla is caught up in a hype bubble, that could burst, while others are saying Tesla is a real automotive industry disruptor. As we noted last week, the strength in the Tesla Motors share price, if taken logically, means the market expects Tesla's sales to go through the roof in the coming years. However, the stock market sometimes acts illogically and gets carried away with hype. If Tesla's plans come off as expected, by 2017 the company expects to have three models on the market, the Model S, the Model X, and the Gen3 "affordable mass market inexpensive electric car." Production rate for the S and X will be over 100,000 vehicles a year, and production of the Gen3 car will be on the order of 200,000 vehicles a year, or more. Today, Tesla is producing the Model S at a 21,000 or so unit annualized rate. Obviously, Tesla plans a dramatic jump in sales, with the big question being whether Tesla will be able to do it. The other big question is just how disruptive it will be to the automotive industry if Tesla does manage to introduce a $35,000 electric car with a 200+ mile range in 2017, and sell a couple hundred thousand of them a year. But the company faces serious challenges to get there and may be unable to pull it off. Will they be able to ramp up production? Tesla says they have over 200 suppliers, some of whom are the sole source for the given part. A disruption of one of those sole-source suppliers would stall production. A similar situation is already hampering Tesla's ability to ramp up production much beyond 20,000 units a year, because some of their suppliers simply cannot increase production. Will they be able to sell cars where needed? Tesla is already facing legal challenges over the right to sell cars in several states. Most see this as the Auto Dealers Associations looking to maintain control over the system of automobile sales. What if Tesla were to lose this battle in a big way? Will Tesla's cars always be seen the ultimate of perfection? 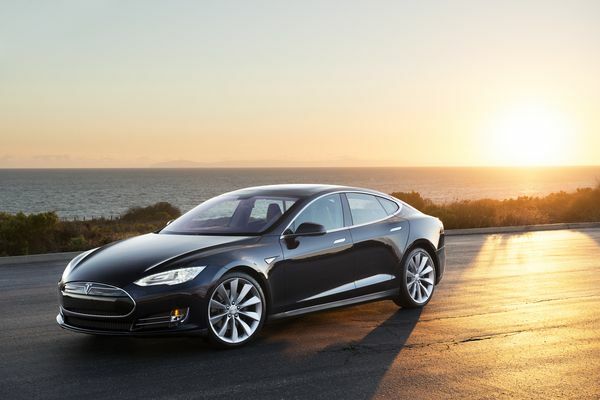 The Model S has enjoyed rave reviews, and everyone who drives one gets extremely excited about the experience. But what if a Model S or Model X were to fail in a spectacular way? Will changing societal conditions make electric cars less interesting? This happened before, such as between the Carter and Reagan presidencies. The shift was epitomized by Carter installing Solar Panels on the White House roof (which Obama recently did) and Reagan having those solar panels removed. We collectively shifted our interest from highly efficient cars to gas guzzling SUV's. Will the Gen 3 affordable mass production inexpensive Tesla car be technically feasible in 2017? In a recent conference call Elon Musk said electric car production on that scale would require more lithium battery manufacturing capacity than currently exists. For Tesla to build the Gen3 car means more factories to make battery cells. Will that happen? And, for that matter, will any of the battery technology breakthroughs occur in time for Tesla to use in the Gen 3 car? At today's closing price of $166.45 per TSLA share, Tesla Motors' market capitalization value is $20.22 billion. That's over twice the market cap of Fiat ($9.5 billion), 1/3rd the market cap of Ford Motors (63.11 billion), and nearly 1/2 the market cap of General Motors ($46.95 billion). If Tesla's valuation is accurate, that means the stock market is predicting Tesla will become a major player in the automobile industry.